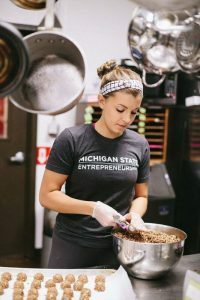 The Entrepreneurship & Innovation minor at Michigan State University has seen explosive growth since launching in 2016, adding hundreds of new students each school year. Driving enrollment among undergrads isn’t just an interest in business skills, but a desire to use those skills to make a better world. While still in its infancy, the program is beginning to get attention from not just students, but academic peers. Earlier this month MSU was named among the top 25 schools for undergraduate entrepreneurship studies by the Princeton Review, finishing 21st out of more than 300 schools considered for the ranking. The goal of the program isn’t necessarily to create a cadre of entrepreneurs ready to start new businesses. Rather, it is using the skill sets of entrepreneurship to give students the ability to be agile, flexible, and adaptable in a future where career paths are likely to change, opportunities will appear unexpectedly, and established ways of doing things will rapidly become out of date. During the 2017-18 school year, more than 600 undergraduate students, from 13 colleges and representing 129 different majors, participated in the minor. Of those, 144 students were from the Eli Broad College of Business. The program has been adding roughly 100 new students per semester. In the minor, what happens in class is just a starting point to learning. Experiential offerings as of late include Startup Weekend, a structured 48-hour weekend where students brainstorm and come up with creative business ideas on a Friday that are turned into developed prototypes being pitched by Sunday afternoon. Even in what classes are offered, innovation drives the process. This fall, the E&I program rolled out a first-of-its-kind-in-Michigan course on Blockchain, the digital ledger system behind Bitcoin. “If you’re going to teach innovation, you’ve got to be innovative,” Kane said. What else is next? 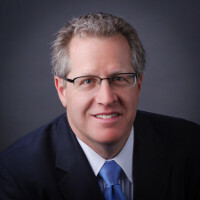 Kane is working on expanding study abroad opportunities; putting together a mentoring program working on life skills such as accountability, resilience, and communication; and encouraging faculty from across campus to either add modules to existing courses or develop new courses about entrepreneurship. 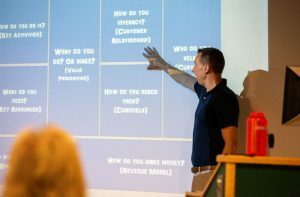 Kane said it will be several years out before many students truly understand the value of an entrepreneurial mindset in being able to take advantage of the ebbs and flows of career evolution. That’s now coming into view for Jeff Hall (BS Mechanical Engineering ’17), who minored in E&I and now works as a product design engineer at Apple.